A quick comparison between free range and mass produced chicken eggs. Eggs can be classified according to the way the chicken that lay them are raised. How chickens are kept and raised has been proven to have an effect on the nutritional value of the eggs. 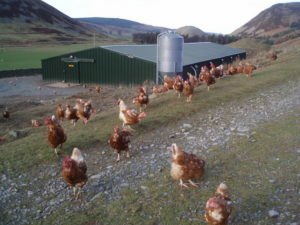 There are two main groups that come with method of classification, that is, free-range eggs and mass produced eggs. Mass produced eggs or industrial eggs are the most common type of eggs in the market.These eggs are produced by chickens that are raised in small cages. These chickens are fed a special diet that enables them to lay eggs for commercial purposes. Eggs produced this way contain nutrients that are limited to what the chickens are fed. In the event where the food fed to them is lacking some nutrients, the eggs produced by these chickens contain less nutritional value. Free-range eggs are eggs that are laid by hens that are allowed to roam around outside the barn or backyard. Chickens that are raised this way eat worms and insects in addition to their grain diet. Free-range eggs have been proven to have less fat and cholesterol thus reducing the risk of stroke and heart disease. They also have more vitamin A, vitamin E and Omega-3 fatty acids. Vitamin A promotes healthy development of bones, soft tissue and teeth. It also promotes good vision and protects cells from damage. Vitamin E acts as an antioxidant and also promotes healthy blood circulation. The Omega-3 fatty acids lower blood pressure and cholesterol levels. It also decreases the risk of stroke, digestive disorders, diabetes, dementia and some forms of cancer. 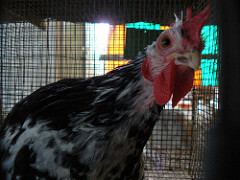 Cage-free eggs are laid by chickens that are raised in floor systems, for example, an open barn. These chickens are usually in closed quarters but not in cages, therefore, they have room for ample movement. They are also given space to perch and their nests are usually made of hay or straws of grass. Vegetarian eggs are laid from chickens fed on a vegetarian diet. That means that they are not fed any fish or meat by-products. 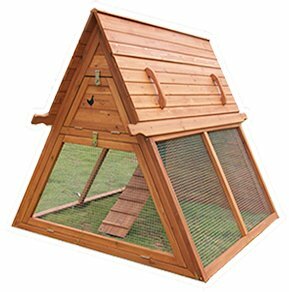 These hens are normally kept indoors or in cages so that they do not peck any insects or worms. Organic eggs are free from any inorganic materials. This is because the chickens that lay these eggs are not given any vaccines or antibiotics and are fed on a strict organic diet. 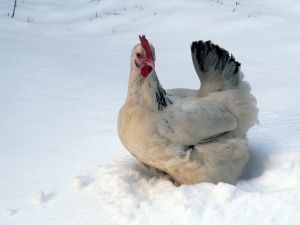 The food given to these chickens must be grown on land that has been free from the consistent use of pesticides and fertilizers for at least three years. The hens are also maintained without hormones, antibiotics or any other intrusive drugs. All in all, we draw the conclusion that free-range eggs are of a higher nutritional value than mass produced eggs. 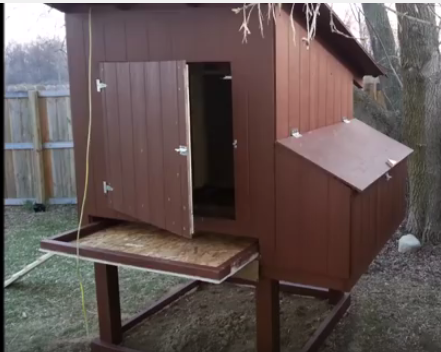 Podcast - Impromptu Chicken Brooder.